The Academy experience is led by award winning leader, scholar, and educator, Dr. Damon A. Williams. Dr. Williams leads the National Inclusive Excellence tour. He is currently chief catalyst of the Center for Strategic Diversity Leadership and Social Innovation and a senior scholar and innovation fellow with the Wisconsin’s Equity and Inclusion (Wei) Laboratory of the University of Wisconsin-Madison. He is also inaugural distinguished scholar in residence with the National Black MBA Association, in Atlanta, GA, where he provides thought leadership and research products for their more than 500 corporate partners and national affiliate chapters. 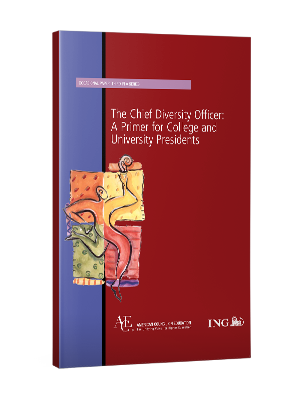 He is the author of the best selling Strategic Diversity Leadership: Activating Change and Transformation in Higher Education and co-author with Dr. Katrina C. Wade-Golden of The Chief Diversity Officer: Strategy Structure and Change Management. He is one of the founding architects of the Inclusive Excellence Movement in American higher education, serving as lead author of Towards a Model of Inclusive Excellence and Change in Post-Secondary Institutions. Dr. Williams served as senior vice president and chief education officer at the Boys & Girls Clubs of America, where he shaped the learning experience of nearly 4M diverse youth and teens globally, and led training and professional development for more than 54,000 professional staff working in local clubs. He was the founding vice provost, associate vice chancellor, and chief diversity officer at the University of Wisconsin-Madison, building the Division of Diversity, Equity, and Educational Achievement (DDEEA), the third largest vertically integrated CDO division in the country. He has served on the faculty of the American Council of Education (ACE) Fellows Program and the Association of American Colleges and Universities (AACU) Greater Expectations Leadership Institute. Dr. Williams has worked with more than 1000 organizations as invited keynote speaker, strategist and funded social impact leader. He is experienced with corporate, government, non-profits, and colleges and universities. His research is in use at small liberal arts institutions, catholic universities, private institutions, research universities, HBCU’s, Hispanic Serving Institutions, community colleges, and public state systems of higher education. As the University of Michigan celebrates her 200-year anniversary, he was recently awarded the Bicentennial Leadership Award, a one-time honor given to 20 trailblazing alumni, who exemplify the best of the academic and leadership values of the Universities 200,000 living alumni. He is also the 2017 recipient of the Western Reserve Academy – Waring Prize, the highest alumni award presented by the prestigious boarding school founded in 1826, to recognize exceptional leadership achievements to improve the human condition. In 2013, he was awarded the coveted Inclusive Excellence Award of Leadership from the National Association of Diversity Officers in Higher Education (NADOHE), and a leadership commendation from the 14 research universities comprising what is now known as the Big-Ten Academic Alliance (BTAA), for his landmark contributions to diversity, equity, and inclusion strategy globally.